NO SIDE EFFECTS Until now, most eyelash fluids are chemical based cloned on glaucoma drugs that widen capillaries and veins around the eyes to allow more blood blow. This causes many side effects. Padina has no side effects thanks to our 100% organic product. 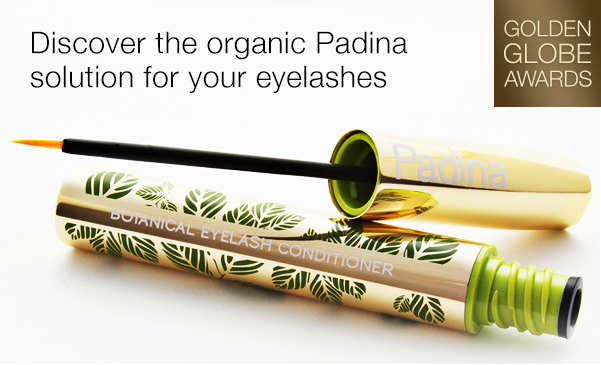 Padina eyelash serum has many benefits First full organic formula! 100% Botanical No chemicals, No drugs All botanical and mineral extracts You can feel easy and safe using Padina. Quantity,Beauty,Length, Padina does not force your veins to dilate unnaturally. 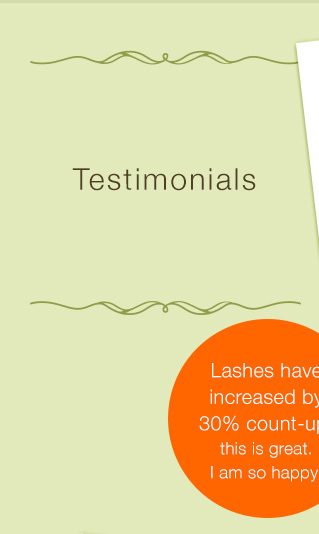 Stimulates your natural existing lashes, follicles and sebaceous glands to facilitate faster and healthier growth. Celebrities love Padina because of it’s ingredients 100% Organic and it work. Many doctors recommend it for 4 reasons. 1.Maximum growth! Padina penetrates rapidly through the base of the lashes and eyelids skin area to nourish each of the hundreds of follicles and stimulate them to grow fast and to the max within 1 to 2 months. 2.Immediate effect! Applied on your existing lashes, it gives them brilliance, strength and flexibility, curling lasts longer and also prevents excessive falling-off within two weeks. 3.Eyebrow growth! Applied on eyebrows and patchy areas, your eyebrows start to grow fast and to the max within 2 to 3 weeks. 4.No side effects! Being totally organic in formulation, there are no side effects.People with delicate skins will enjoy the benefits of a soft & safe touch formulation and does not burn even if it drips into the eyes. With beautiful lashes, it’s easier to do make-up. Eyelash extensions pros use Padina to get more lashes so they can get more extensions and they last longer because they can use more glue surface and lashes have longer life cycles. Being 100% organic formula, all ingredients hamful to the body have been eliminated. Padina has chosen the best quality natural botanical ingredients that are targeted to be useful to eyelash and eyebrow growth and well-being. All natural. Yes but apply Padina only 4 days after doing your extensions so as to let the glue dry up completely. The benefits of using Padina is that longer lashes allows more glue surface making your extensions stick stronger and last longer. Also with more lashes you will have a fuller set of lashes and extensions. Start using Padina once a day for 1st week. From the 2nd week, start applying it twice a day to get a fuller and faster result. For best results start applying Padina before sleep and after you wake up. Please wash and dry face before using Padina. Note: You should discontinue use of padina if you develop allergies after use. Padina lasts up to 5 months when used once a day. After 3 months you can stop using for 1 month and then start again for 3 months. Or another way, is to start (after using of Padina 2 to 3 months) using Padina to continue to apply it every 2 or 3 days instead of every day, to maintain the obtained growth.